Dawn and I are grateful that we are connected to a larger mission that works in many cities in Mexico and beyond. You might remember that we began our ministry with Mission to the World (MTW) in Mexico City back in 1990. That was also the year that our oldest son, David Jr. was born. As we pray and work towards the growth of the church, and for changed lives it’s exciting to be able to visit and encourage our missionaries and to see all the Lord is doing through them. One of the cities we recently visited was Guadalajara. Guadalajara is a beautiful city with many needs for the gospel. MTW missionaries have been working in this great city for more than 20 years. It gave Dawn and me great joy to spend some time with Matt and Esta Jesch, who arrived in Guadalajara about three years ago. They are wonderful servants of the Lord, who we’ve grown to love as we’ve gotten to know them. They actually flew out to support us when our daughter, Hannah died. Matt and Esta have many gifts and they have amazing hearts to work alongside our churches to reach out and come alongside people in need. This includes job training and mercy ministries. We love being with them, they are some of our favorite people. One of MTW’s missionaries who has had the most success not only in Mexico, but in all of Latin America is Kenton Wood. Kenton’s parents were missionaries when he was a child. They served in the Acapulco area. Unfortunately, when Kenton was still young both of his parents were tragically killed in an airplane accident. Even with this tremendous tragedy, and challenge Kenton’s love for Mexico and the people of Mexico has not waned. He planted a church in Acapulco in the 80’s. 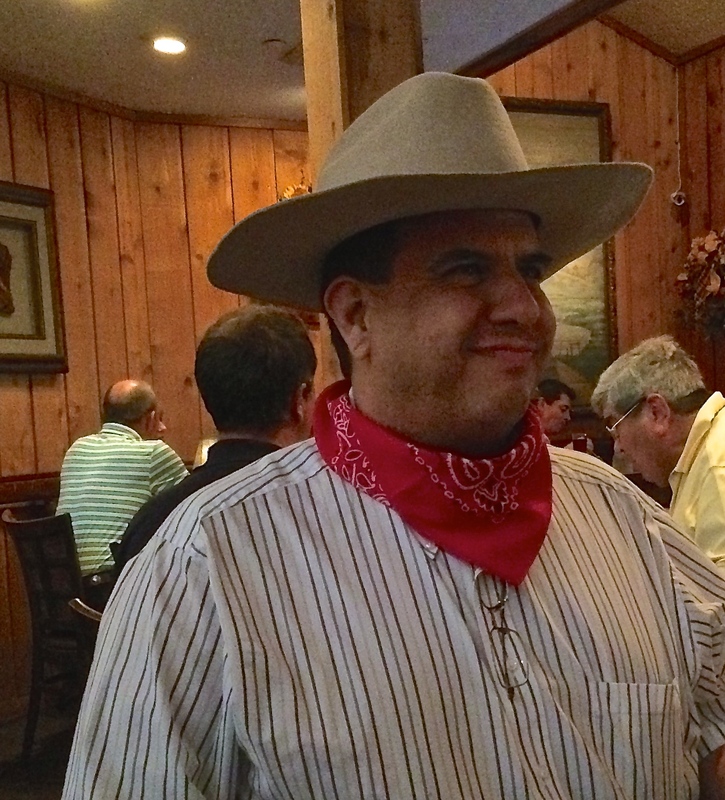 Then in the mid-90’s he moved to Guadalajara to begin his church planting work with his wife, Karen. The church, Rey de Reyes has grown to 900, and they have started four other churches in Guadalajara and other cities in Mexico. Kenton has experienced some challenges in his life, but he’s been resilient and continued to serve faithfully. Not only did he lose his parents when he was young, but his wife, Karen passed away about 5 years ago. She had cancer. The Lord has sustained Kenton and his family through all these trials. Dawn and I were so encouraged to share a meal with Kenton and his lovely wife, Adriana who now serves alongside him in the church, Rey de Reyes. God is so good, and takes care of His children. First we visited the church, and saw all the various ministries and how the Lord is using them. It brought us joy to see the vision and creativity for reaching the lost with the good news of Christ. I give thanks for all that the Lord is doing in Guadalajara. Pray for the church to grow and that even more churches will be started, even more lives will be transformed by the gospel. We pray that we can replicate more churches and healthy churches throughout Mexico and beyond! Cuba: Despite Suffering The Church Grows! I continue to both amazed and saddened when I spend time in Cuba. I’m amazed by all that the Lord is doing in this country that has experienced so much oppression. They’ve suffered greatly, despite what some in the media write. It saddens me to hear the stories and learn of all they’ve had to live through. As one of my friends said, “there is equality, we all have the same, we all share the same misery.” Yet, despite this they are a wonderful and resilient people. The Cubans we met are good-natured, and enjoyable to be around. The other thing that I observed is that God has used all their suffering, and all the things they lack to make it crystal clear to the people that they need something greater than themselves. They need a deliverer. They need a savior, and many are turning their lives over to Christ. The church planters that Dawn and I met during the Discovery Center are such quality people. Their love for Jesus is so evident. Some of them are amazing evangelists, and the Lord is already using them to reach many for Christ. Even though we went to minister to them and encourage them their testimony lifted us up. Dawn and I felt humbled as we heard their stories, and of their love for the Lord. The church is not allowed to build church buildings in Cuba, but they can meet to study the Bible and to worship in their homes. The house church is exploding in Cuba. Missiologist say that Cuba is the only country in the Western Hemisphere where a true church planing movement is occurring. Yet, there is a need for training, coaching and encouragement. We give thanks to the Lord that we can play a role in the work there. I first went to Cuba in April, and I fell in love with the people. At the time, I thought I’d love to be able to bring my wife and my daughter to Cuba with me. Unfortunately, I will never have the opportunity to bring Hannah, but the Lord did open the door for me to bring Dawn, and we had a wonderful experience together. Thank you Jesus for giving us the strength to be able to go and minister in the midst of our sorrow! One of our friends and colleagues in the gospel ministry, Ivan Villalta said it was a miracle that Dawn and I were in Cuba helping with the Discovery Center, since we just lost Hannah only a few weeks ago. That encouraged me that he said that. Yes, it’s not easy to minister in the midst of our pain, but we are finding God’s grace is strengthening us and carrying us through it all. When I told Mario & Yany one of the church planting couples about Hannah passing away, they said it was clear that the Spirit was giving us strength to be able to continue to minister during this difficult season of life. Dawn and I appreciate your love and prayers for us. God is using you to lift us up! Just as we felt we were able to bring the love and blessing of our Lord to our friends in Cuba, they definitely blessed us and helped lift our spirits. Hallelujah! The Lord did so many amazing things in Cuba that I have more to write, but I will save it for another post. Please continue to pray for us this week as we are back at home, and celebrating our first Christmas without Hannah. Coaching in Missions: What’s the Connection? I’m on a jet plane flying back home from Houston as this is going out. I’ve had a wonderful week at two events in this city. 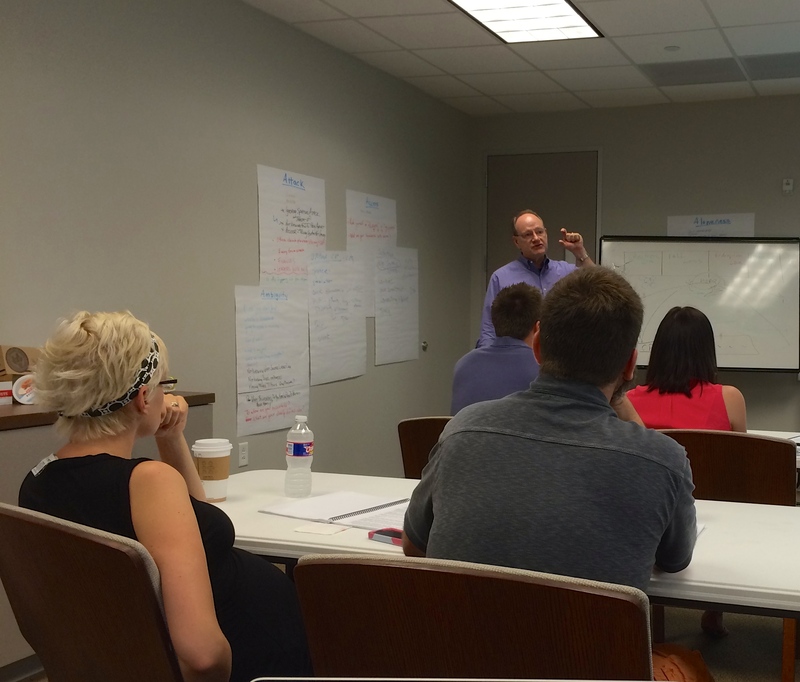 I started the week at a training event to learn how to do a better job coaching church planters. Then I ended the week at the PCA’s General Assembly, which is a huge church event for our denomination. Dr. Tom Wood who is the founder and president of Church Multiplication Ministries led the training along with Tami Resch. Here’s some of the highlights on the training on coaching church planters. The coaching is gospel centered. I loved the strong emphasis on the gospel in coaching others. I enjoy coaching a great deal. I think it’s one of the areas I’m gifted in. A group of us started coaching church planters in Mexico in the mid 90’s. So I’ve been involved in coaching in one form or another for almost 20 years. I must admit I was a little skeptical coming into the training. I wondered if I would get much new out of it, but I was pleasantly surprised. Another highlight was the people I went through the training with – wonderful people. The main reason we are doing this is so that we can bring this training to Mexico and begin training and multiplying coaches for our church planters. I was able to bring two other Mexicans and one American who work with Mission to the World in Monterrey, Mexico. It was outstanding to have them there, because we are beginning to form a team that can coach church planters and train others to do so. I believe that this is one of the most important things that we are doing right now. It is a fact that church planters need a coach. They become much more effective with a coach. Bringing this training to Mexico and multiplying our coaches will aid us in seeing more effective church planters, which means there will be stronger churches. The gospel emphasis is such a keystone to success in ministry. People need the gospel, and in many ways those in ministry need it most. Please do pray for us as we work on bringing this training to Mexico. It’s going to take some time, but this will enable us to build a strong foundation. Another highlight was some of the other people who went through the training on coaching with us. I met Hector Guzman. 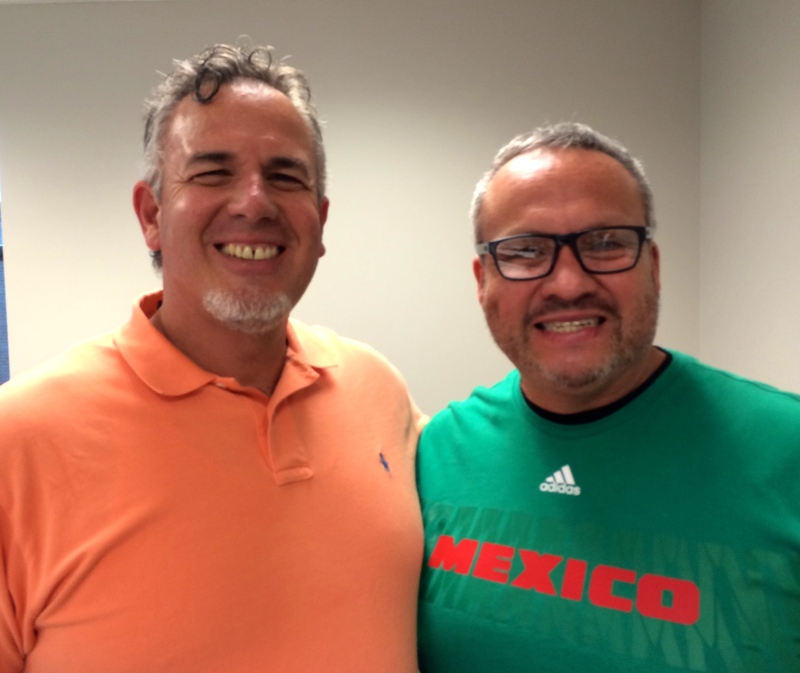 He is now working as the Spanish pastor of a bilingual church plant in the Atlanta area. The last time I saw him he was a business man in Mexico City involved in the core group of a church plant that Dawn and I were working in there. I spent some time with Jason and Kara Tippetts from Colorado Springs. They are planting a church there. They arrived in the Springs just as Dawn and I were leaving to move to the border. I know Jason through some of our church meetings, but I had never really met Kara. 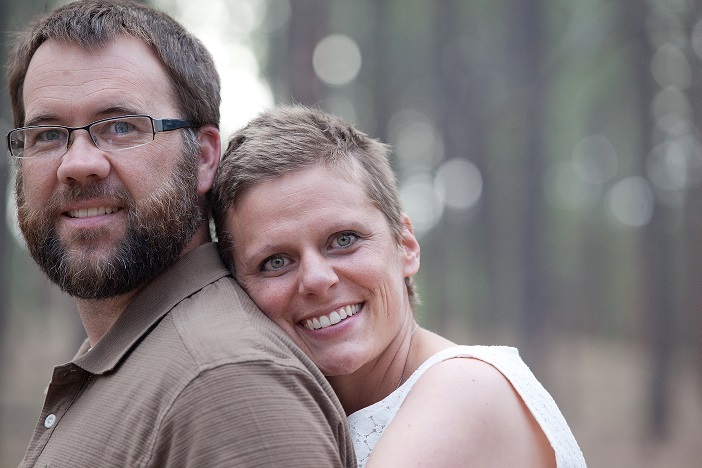 Kara has stage four cancer. They are going through a difficult season as a family. She writes an outstanding blog that is an encouragement to many called: Mundane Faithfulness. In her blog she shares her journey through cancer, and how God in his grace shows up and is carrying her and her family through it. I’d urge you to check it out. Pray for my energy – it’s been a long week! The next two Saturdays we will work with our good friend, Daniel Nuñez and Lo Mejor del Trigo (The Best of the Wheat) to build a new church building for Daniel’s 17th church plant. His vision is to plant 50 churches in 20 years! This is the second church plant that Harbor has partnered with Daniel on. It’s been so encouraging to see what the Lord has done in Rosarito through the first church plant. I’m thrilled that we are on the border, and that we can participate directly in this new work! This video that our talented friend, Danny Kim put together features some of the highlights from the Rosarito church plant.